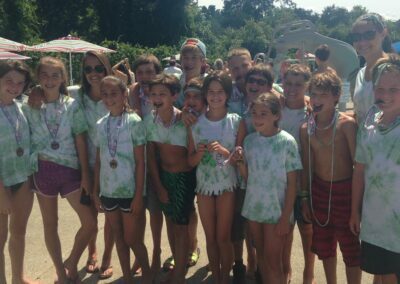 Our swimmers are part of a friendly and competitive team that provides regular training, as well as light competition during the summer. 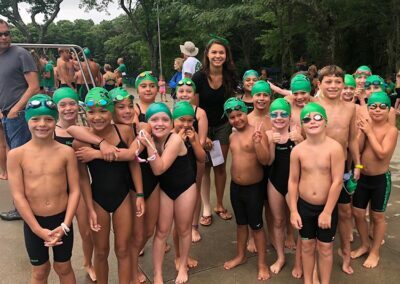 We encourage all swimmers, regardless of skill level and achievement, to enjoy and understand the healthy benefits of swimming, diving, and competing. 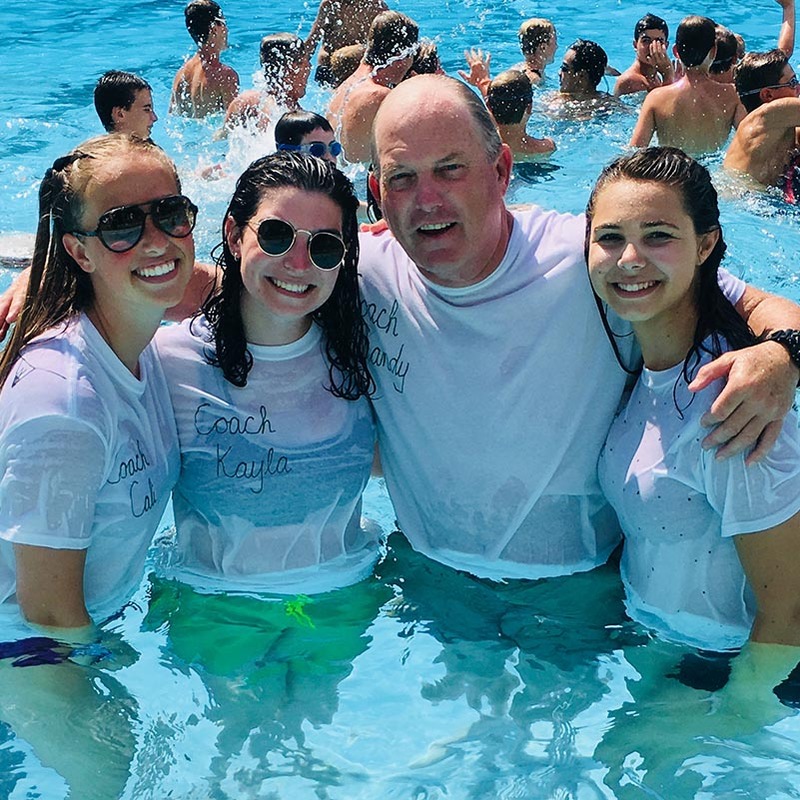 Additionally, team members develop the four qualities of good sportsmanship, enthusiasm, perseverance and determination, important both in and out of the pool, and will help athletes succeed in all arenas. Kendbrin has won the All Pool Meet Championship for 8 consecutive summers and has been undefeated for 8 years in dual meet competition. 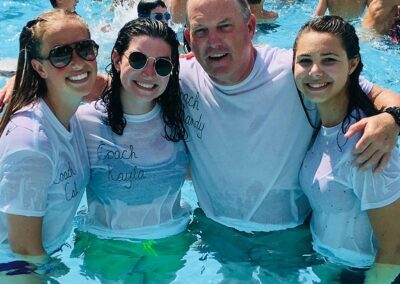 Headed by Kendbrin Executive Director Sandy Gorham, our coaches are committed to helping each team member reach their personal best. 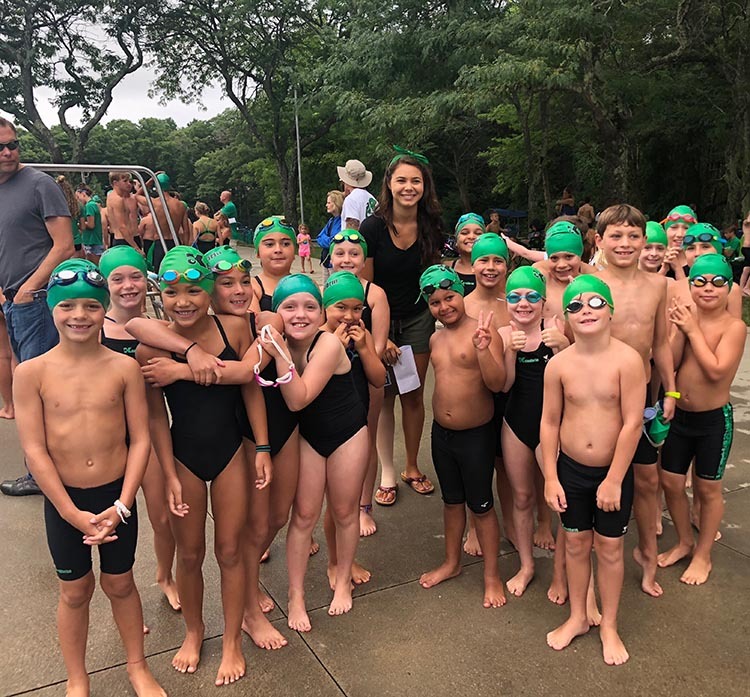 More than just learning the four competitive strokes – front crawl, backstroke, breaststroke, and butterfly – we strive to foster a positive and enjoyable environment that is conducive to the development of both swimming and social skills. 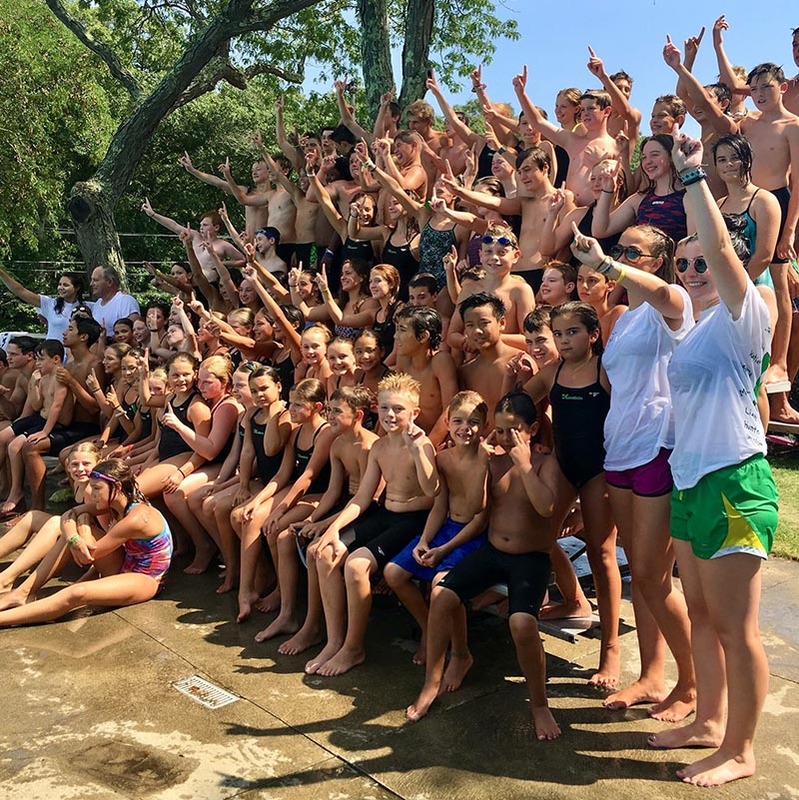 The season consists of daily morning practices, Monday through Friday (with some exceptions) and weekly swim meets on Tuesday or Thursday mornings. 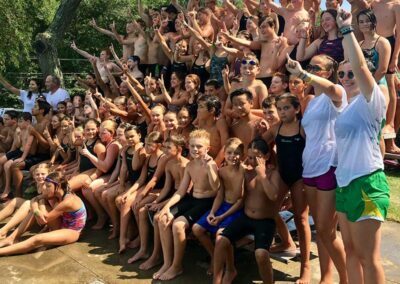 Consistent practice attendance will lead to greater improvement in both technique and times by the end of the season. 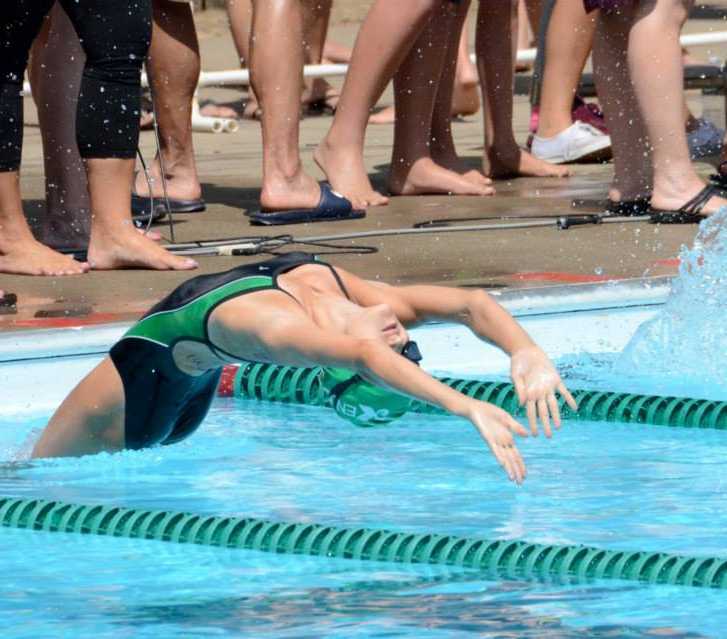 All swimmers are required to swim in at least two meets during the season. Diving meets follow all swim meets. Our season concludes with the All Pool meet, where all teams compete. This is the largest and longest meet of the season, where the top six finishers in each event receive medals for their achievement. Additionally, the league will give out one award for the league champion. A team swimsuit must also be purchased from a local shop; prices will be announced, but vary from $35 to $60 per suit. Swim and dive teams wear the same suit. All Pool Meet: $25 per family. Team fees help defray the cost of the concession stand and rental of the large tent used at the All Pool Meet. The money raised at the concession stand is used to pay for the team gifts given out at the awards banquet at the end of the summer. No additional cost for swim lessons. 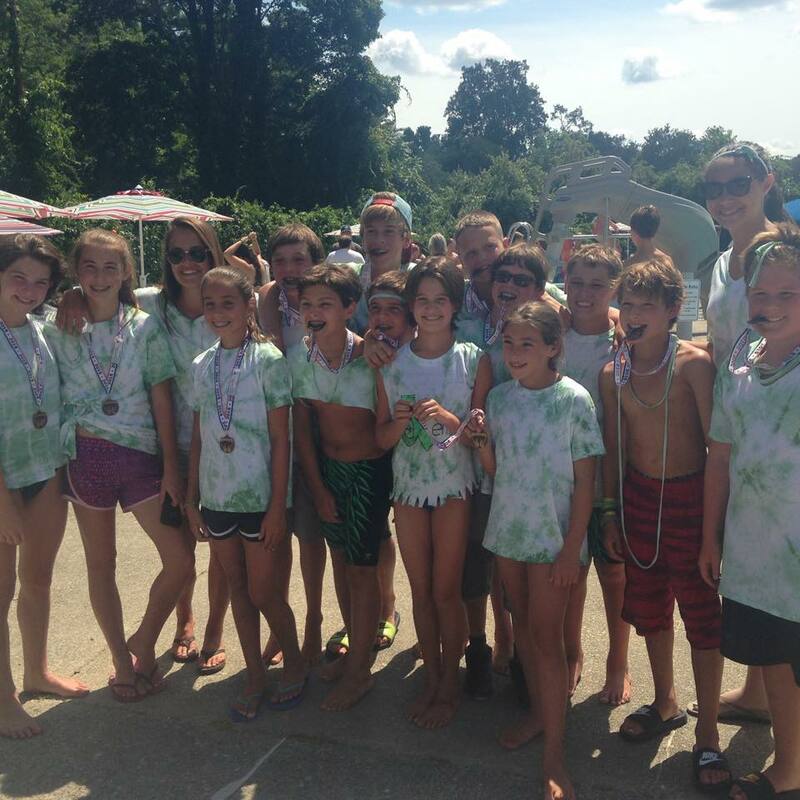 Team fees help defray the cost of the concession stand and rental of the large tent used at the All Pool Meet. The money raised at the concession stand is used to pay for the team gifts given out at the awards banquet at the end of the summer.